VanillaForums Hosting with ASPHostPortal.com, give you the best VanillaForums Web Hosting service and easy access. We are your dependable VanillaForums web hosting provider who will fulfill your needs! Vanilla Forums is one of the best and most popular forum hosts for starting your own online community. With Vanilla you can launch a simple discussion board site for your website, brand or business within a few minutes. Their service is much easier to use compared to phpBB or vBulletin forums without having to surrender powerful features. Themes and other useful upgrades such as custom CSS, no ads and the possibility to use a web address of your choice complete the forum host's customization options. The ASPHostPortal hosting platform supports VanillaForums hosting and you can deploy your VanillaForums powered web applications! Our migration experts will help you move VanillaForums from your old web host to ASPHostPortal.com for free. We do not charge you a dime. 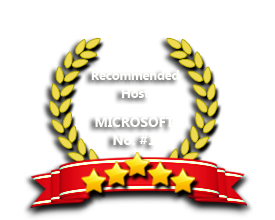 This way you get to see how excellent our support is from day one and you do not have to fuss over getting emails, databases and more moved from web host to web host.